Ask most movie fans, “What was the first ‘talkie’?” The most frequent reply tends to be “The Jazz Singer” starring Al Jolson. This is a “sort of” correct answer, but not really. The earliest “sound” movies were made by synchronizing motion pictures to phonograph records. In 1926, (a year before “The Jazz Singer”) Warner Brothers re-released the previously silent film “Don Juan” with a soundtrack recording done by the New York Philharmonic Orchestra. Warner Brothers also released the first actual all-talking, feature-length motion picture in 1928. It was called “Lights of New York.” The following year, Twentieth Century Fox released “In Old Arizona,” the first all-talkie feature with sound directly recorded on the film. “The Jazz Singer” was actually a silent movie with poorly synchronized musical numbers and a few sentences of spoken words. One of the main reasons “The Jazz Singer” is such a legendary film is because of its star- the immortal Al Jolson. Many current movie fans are familiar, at least somewhat, with Jolson and his show biz legacy, but he has few current-day fans. This is partly because Jolson’s schtick was the “blackface” act, which is, to contemporary movie fans, beyond disgusting. “Blackface,” which is captured for posterity in many films of the first half of the twentieth century, is a sad reminder to most people of the ridicule and mistreatment of African-Americans. Such a thing would be unimaginable today. 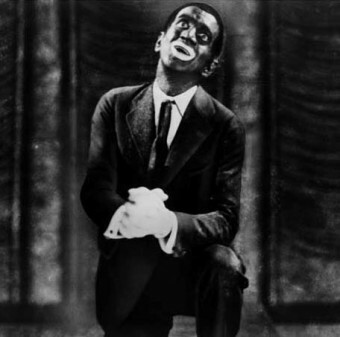 Jolson didn’t always use “blackface” in his act, but because most people of today know him only by “The Jazz Singer,” his reputation is often as a symbol of a very backward time. Also, Jolson’s singing style, unlike Elvis’ or Frank Sinatra’s or Dean Martin’s, does not hold up well. His songs seem rather hokey and schmaltzy. His singing style is clipped and choppy, not melodic. His dance moves look rather silly and dated. Supposedly, Jolson was not a nice man in real life either. Most of his fellow performers say he was deeply insecure. 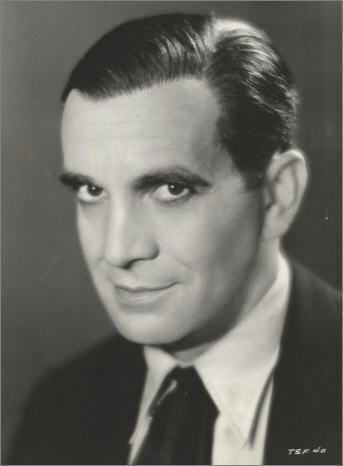 According to his contemporary, Groucho Marx, Jolson was so insecure he would leave the water faucet running in his dressing room during his live appearances, so he couldn’t hear the applause for the previous acts. The crowd would, inevitably, applaud and cheer for the show to stop. At this point, “Jolie” (Jolson’s nickname) would sing some songs to the wildly appreciative crowd. One wonders how the rest of the cast of these shows reacted to this. What an ego- to pull off a stunt like that- and routinely yet! Jolson really wasn’t such a great guy- or was he? No one is all-bad (or all-good). In fact, Jolson was, ironically given the perception today, an early crusader for the rights of African-Americans in show business. For instance, he was instrumental in helping to promote black playwright Garland Anderson’s work, which resulted in the first Broadway production with an all-black cast. He also attempted to have an all-black dance team featured in a Broadway show at a time when black people were banned from Broadway productions. Beyond the controversy surrounding Jolson, he was also the first performer to entertain American troops in WWII. A few years later, he was also the first to do the same during the Korean War. Yes, before Bob Hope! His break-neck performance schedule in the latter is also thought to have contributed to his death soon after. Jolson’s life was also the subject of a very popular film in 1947 called “The Jolson Story.” Interestingly, the film actually tries to explain the reason why “blackface” style singing was so popular with so many singers of the earlier part of the century. While still a bit awkward in retrospect, the tribute to Jolson and his legacy is quite fascinating and often touching. One realizes that while the writers of the film are trying to explain the reason for “blackface” to the viewers, one also suspects they are trying to explain it to themselves. Al Jolson died shortly after entertaining the troops in 1950. He left a wife and two newly-adopted children. Reportedly, black performers “lined the way” at his funeral to pay their respects to the man that had helped popularly introduce white America to elements of black culture. In the end, Al Jolson is often seen today as a “villain,” and it is perhaps an understatement to say that even to his most staunch supporters, Jolson remains a controversial figure. But it would seem the truth is that Al Jolson was, much like us all, a mixed bag. What Was Dr. Martin Luther King, Jr. a Doctor of? I find it amusing how you try and make the 1920’s out to be so racist, he owuld NEVER get away with that now. No, now it is A-ok to sing about killing police, beating women and crime in general but because those who spew this venom are BLACK you give them a free ticket. Grow up. It’s ok to sing about beating women? The feminist outcry would be louder then ever. Police are just another murderous gang, you reap what you sow. It’s true that hip hop supporting crass materialism and violent lifestyles was supported and promoted by the mainstream music industry in the 90’s, but that’s become passe in hip hop. The hip hop of the 90’s that didn’t promote those things, and was more political, did not receive the same media promotion. The violent gangster fantasies and stories of capitalist success sold to both white audiences and black (and others). There is simply no objective way to say that America in the 1920’s was less racist then modern times. It’s trivially true that you might hear more racism against certain types of white people, but that’s because they were at the top oh the racial power hierarchy for the majority of the country’s history, and speaking against the white establishment in blatantly racist terms (or even equality minded terms) was a cause for brutal repraisials. I certainly believe that Jolie was no racist. It’s also quite enlightening to know that he went out of his way to help Black entertainers as you say he did. It’s good to know that the same man who would purposely try to add a word or phrase to new songs he was presented with so he could get an equal share of the credit and royalties among other selfish things like trying to pay off his brother Hersh to stop performing or rushing down the aisle of the Ziegfeld Theater on his wife’s opening night, not because she had stage fright but because he couldn’t again handle his wife getting the attention- it is gratifying to know that Jolie had such a generous side for black artists. But I do have to offer a couple of corrections. Jolson started wearing black face since his earliest days for one reason that most fans that know him would find hard to believe, but it is absolutely the truth based on interviews with those who knew him best. Al for a very long time in his career, even at it’s heights, suffered from near paralyzing stage fright. That is the real reason he started wearing black face so early in his career and did so almost 100% of the time. The black face allowed Al to wear a mask and slip into this character which he could hide behind. This was his act for years and eventually when broadway called they would literally write a show around Al’s black face character which eventually became known as “Gus”. Gus became the epitome of the soft-hearted but very wise and knowing, wise cracking character who would make fun of the dumb white characters on stage. Gus might invariably bring the two young lovers together and so he would save the day in that and other ways. Perhaps as a cover or even a side bar to his deep need for hiding behind Gus, Al or black entertainers and writers may have assumed that Al was doing this to point his finger at the hollowness and evils of racism. But to the original and main reason was Al’s tremendous insecurity and utter fear. Of the dozens of broadway shows that Al did. He only performed w/o black face once. Al had puke buckets in the wings for years. He was just not comfortable in his own skin as a performer until he was much older. His appearances with small live audiences on his radio show, in night clubs where he’d be asked to perform (my grandfather the head waiter at the 400 Club NYC was witness to Jolie performing for free for over five hours one night!) and eventually his many performances for the troops in WW2 and Korea finally helped Al to be at home in his own skin as a performer. Stage fright is not unusual for great artists to suffer from. When Spencer Tracy at the height of his career came back to Broadway where he to had perfumed on the stage for years before, he too would get sick and throw up each night from fear.The greatest Shakespearean stage actor of the 20th Century Lawrence Olivier suffered from it for years as did the great actor Ian Holm who didn’t perform on stage for 30 years. So with understanding it’s easy to see the innocence of Jolie’s reason for black face. Not racist in intention, perhaps ignorance and a crippling fear of what he loved to do most in the world, perform for a live audience. John Barrymore’s Don Juan was not re-released, by actually released as a Vitaphone film with musical and sound effects accompaniment, along with a number of Vitaphone shorts. The Jazz Singer was not poorly synchronized, but synced quite well for its time. see the recent The Jazz Singer DVD set. The Jazz Singer was not Jolson’s most successful film, his next, The Singing Fool was, holding the record for the biggest box office until Gone With The Wind in 1939! Just shows that we cannot judge a persons motives 90 years ago based on todays standards. No this would be racist but it was seen differently in those days. How could Al Jolson have been a racist. He was a member of the Jewish faith who have been persecuted for centuries. If anything he was totally sympathetic to African Americans treatment. His singing may have been hokey but he could bring a tear to your eyes with his pathos. Not saying that Jolson is, but persecution for ethnicity or being the victim of racism doesn’t make one immune to racism. Al Jolson had a powerful voice that you really didn’t give him enough credit for. I appreciate the applause you gave him for his devotion to black entertainers and that the soldiers in WWII and Korea loved him. And he would go to out-of-the-way places just to sing to a few soldiers. And he really was the World’s Greatest Entertainer. Many super entertainers adored and copied his style, including Bing Crosby, which is stated in his bio. Jolson was only content when he was on the Broadway stage. Jolie was human. Everyone has good and bad traits. I personally like him. IMO, he was one of the best entertainers of all time. I don’t care what anyone has to say,to me Jolson was and still is the greatest singer (entertainer)of all time. No one today can match his style , stage persona and thundering voice; todays whisper voice singers and rappers you got to be kidding. To me his songs are as fresh as the day he recorded them. People will be listing to his recordings far into the future, well after rap and other so called singers will have been long forgotten. Of course no one can disagree with your personal aesthetic tastes, but it seems dubious he will be remembered and more modern styles will fade, the general progression of music is away from the schmaltzy style of Jolson, and even at the height of it’s popularity, it was a general deviation from what has been considered good music (the lack of harmony the article mentions). Also, rap in some form can be found in multiple cultures throughout history, there were celtic kings who had to perform oral rhyming poems listing their deeds and accomplishments in competition with other kinds and tribal leaders to settle disputes (a super old-school form of battle rap!). Your tastes are fairly eclectic and are unlikely to be embraced over other musical forms by future generations. That said, no one can predict the future, especially with the coming biological singularity. Jolie was certainly racist! How would you feel if you were an asian and someone wore buck teeth and stretched their eyes out. Or how would you feel if were Jewish and wore a hooked nose and paytols?? And as for you Jake Lakota the 1920’s were racist! Get educated and grow up! Then don’t watch, read, or listen to any form of American popular culture that proceeds the Schmobama administration and stop whining about it. I think the idea of the article is that it’s not as “black and white” as that. While undoubtedly, the origin of blackface was in minstrel shows, and it’s use was to create racist chariactures of black people for white audiences’ amusement, this wasn’t the use Jolson intended, and he was a promoter, in action and words, of black rights at a time when such a position was extremely popular. That’s not to say the usage shouldn’t be offensive to modern audiences, but I think you have to look at someone relative to the social values of the time. Silk, the only think obvious to me is that you are a complete fool. That’s an interesting thought, that blackface entertainment was born out of an affection for black culture and a sort of thumbing the nose at white supremacists. It wasn’t. It was clearly used as a means to “punch down” and make fun of black people. The article is saying that while those were it’s roots, those weren’t Jolson’s intentions in using it. A simplistic view from an obvious simpleton. Having researched,studied,and lectured on the history of blackface in America (and Europe, over 2,000 years) I feel able to say with certainty that your knee-jerk analysis of the meaning of blackface could not be more wrong. Blackface was never used to “punch down” anyone at any time. It was never used to mock or deride. Anyone who says, “This is what black face originally meant” or, “This is what it meant in the 19th century,” — IS LYING. Blackface history is multi-layered, complex, and very rich. That you can say it was “clearly” –blah, blah, blah – – Tells me you were either there at the time (which of course, you weren’t) or you’re guessing, based on your own feelings and what you have been told. There are a multitude of incidents, facts, events, and statements by contemporaries, that the author might have included to cement the concept that not only was Jolson no, “racist,” but that he was the most highly esteemed and beloved white man in the black community, particularly black performers. Obviously, they ALL had a far different take on what “blackface,” meant.